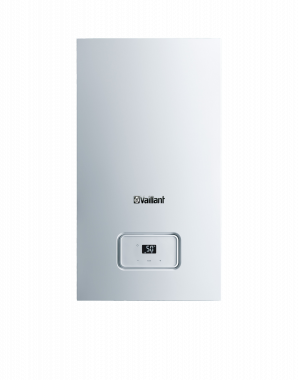 The Home 25kW Regular Gas Boiler has been manufactured by Vaillant and boasts a wide range of features and benefits. This is a highly reliable boiler which is shown through its 93% efficiency and ErP A rating. Coming with a 25kW output makes the boiler perfectly suited to medium-sized homes that don’t have an excessive need for heating and hot water. This boiler is also available in a range of heating outputs; 12kw 15kW 18kW 25kW and 30kW, meaning that there’s one for just about any home. Designed to save space, this compact unit measures in at just 600mm in height 375 mm in width and 280mm in depth and is also wall mounted. So you can be sure you will save that much needed space in your home. As this is a Regular boiler it needs to be installed as part of a heating system alongside a hot water storage cylinder, cold water storage tank and a feed and expansion tank. All of this means that it’s not really suitable for smaller homes or properties where space is limited. You can also have peace of mind with this boiler thanks to a 2 year warranty as standard.